Where there is water, there is limescale. Limescale leaves a dull film behind on tiles, shower cubicles, bath tubs, sinks, taps, worktops and in the toilet. 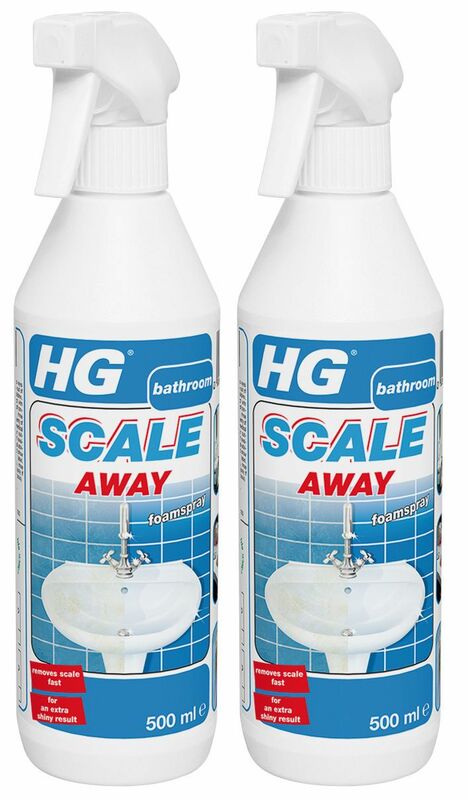 HG scale away removes this limescale thoroughly and quickly and leaves nothing other than a brilliant shine! HG scale away is available in two different versions. The HG scale away foam spray and HG scale away foam spray with powerful green fragrance produces a full foam that ensures the longer working time that is needed on vertical parts, such as walls and shower cubicles. HG scale away does not affect chrome, glaze, or grout.